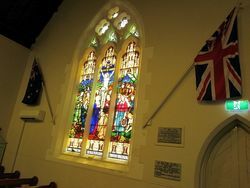 St Augustine's Anglican Church World War Two Memorial is a set of three stained glass windows erected in memory of those from the parish who died in service or were killed in action during World War Two. 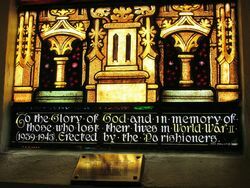 Two of the panels were erected by the parishioners; one as a thankoffering for victory and those who served in World War Two, the other in memory of those who lost their lives. The third panel is a private memorial. 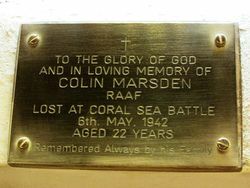 Below the window is a private memorial plaque erected in memory of Colin Mardsden who lost his life in the conflict. 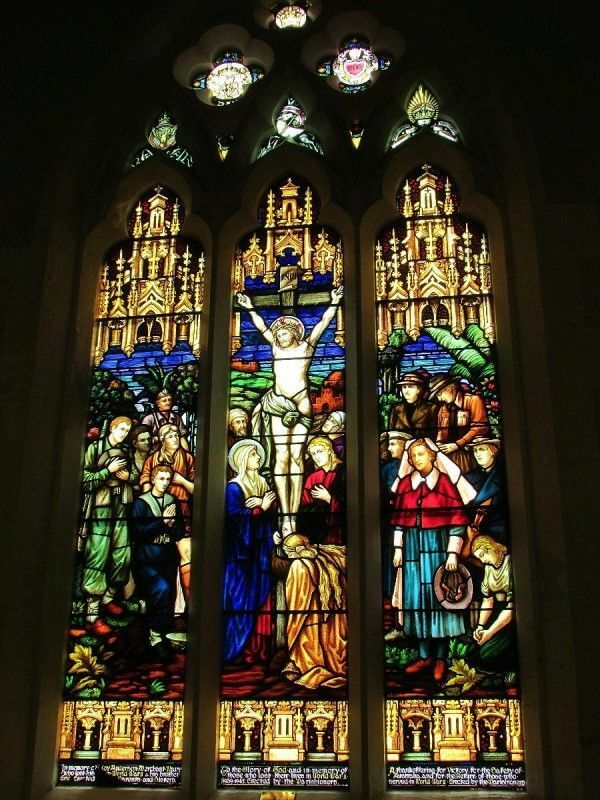 Three memorial stained-glass windows will be unveiled at St. Augustine's Church of England, Merewether, at a special service on Sunday night. The windows, which depict the Crucifixion and men and women of the three Services, will be unveiled by Archdeacon Woodd in the absence of the Bishop of Newcastle (Rt. Rev. F. de Witt Batty). 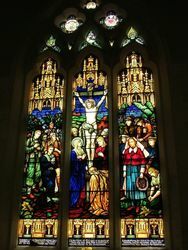 Two of the windows were presented to the church by parishioners of St. Augustine's and the other by Mr. and Mrs. Anderson, of Glebe-road, Merewether, who lost a son in the war. 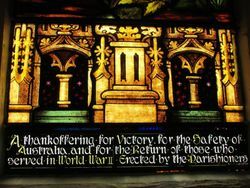 The windows will be a memorial to men of the Merewether parish who lost their lives in the war. (1939 - 1945). Erected by the Parishioners.